Essential Puppy Information for new owners. Puppies do not come with an instruction manual and, most breeders do not send their puppies home with a Puppy Information leaflet. So how are you supposed to know what your puppy needs? How do you make sure you have everything covered? This page is here to answer those questions. There are no hard and fast rules. Like humans, all puppies are individuals, and how you live your life will be different to the next person. So think of this as ‘a place to start’ and adjust to fit. Maybe you have just brought home your first new puppy and you are now sitting there bewildered because you are not sure what you should do next or you have a specific problem and you are looking for an answer. I am hoping that you will find the answer you are looking for on this page. If not and it is related to having a new puppy, please add a comment so that I can update the page. 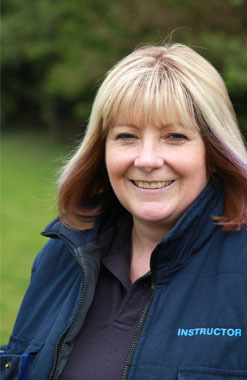 My name is Karen Scott and I am a specialised puppy trainer. I work with families helping them to settle their puppy quickly into their home. I have also bred a few litters and much of what I do has been informed not only by the knowledge that science now tells us about how puppies learn but also by watching and working with puppies and families for a number of years. Sometimes my methods are a little different to traditional methods, but I have proved they work. My methods are always reward based and does not generally include the word ‘no’. I believe that puppies do what comes naturally to them and rather than tell them off, we need to show them and help them learn what are the right choices for living with us humans. Puppies do not set out to be naughty. They do not understand that we might label the behaviour ‘naughty’, In fact, they do not understand ‘naughty’. To your puppy, it is either fun or it fulfills a current need which may be that he is hungry, bored or just trying to understand his environment. Your puppy, like human babies, absorbs what is going on around him and therefore he is learning all the time, even when you are ignoring him. It makes sense to ensure that what he is learning are the rules and manners that you expect him to live by and that you respect him, you are kind and can be fun too. Your responsibility is to ensure that you are meeting all the puppy needs, both mental and physical and that includes play and time. Nowadays, it is recognised that the wider range of items and things your puppy has experienced before you bring your puppy home, the more able your puppy is able to cope with situations. Here I have compiled a list of questions to ask your puppy’s breeder so that you know what your puppy ahs encountered and what gaps need to be filled. What is the puppy being fed at the moment? How often is the puppy fed? What worming products were used? When was the worming treatment last administered? Has my puppy already taken trips in the car? If so, just one or more? Has my puppy met with lots of different types of people, including young children? Think male, female, young, old? Were they allowed to pick him up? Has he been picked up and handled every day? What different surfaces has my puppy encountered? Think, grass, concrete, wood, slatted. What noises has my puppy heard? Was my puppy able to explore different articles? Think in terms of toys, colours, shapes, moving things, noisy things. What other animals has my puppy met? What do you need to have before you bring your puppy home? 2 Bowls, one for food and one for water. Brush/comb/hound glove – this will depend on the breed of your dog. Bed (do not spend a great deal of money on the first bed, your puppy may chew it). When you bring your puppy home, get everything ready before you collect your puppy. DO NOT stop off at a pet shop on your way home. I frequently see people in pet shops holding their new puppy. Some are happy, but most are scared stiff. They cling to the person holding them. The problem is then made worse by all the people who want to touch the new puppy. People are not thinking about what is best for the puppy. Do not let that be you. Lap or crate in the car? This is a tough question. For safety, you are better putting your puppy in a small crate that is not liable to be thrown around the car in the event of an accident. However, many people want to hold their puppy. If this is you, take some towels and put a puppy pad on your lap, put a collar and lead on your puppy and hold onto it. I have done both in my time and I have found that they are perfectly happy in a small crate that is covered over. They can relax and sleep then. Many people are really not sure about whether to use a crate or not. Part of the issue is that it feels like a cage to many of us and, who wants to cage someone in our own home? After all, many people have successfully had dogs for years without needing a crate. I never used a crate for many dogs and had some that were fine and some that chewed everything the moment we went out. However, in 1996 I bought a puppy that I intended to show and all show people that I spoke to in the breed kept their dog in a cage at the show, so I bought a cage and I have never looked back. If I want to go and stay with friends for the weekend, I can take my dogs, and keep them out of their family rooms. The dogs are happy in their own space. I can take them to a hotel and know that I can go to the restaurant and relax confident that my dog is comfortable and relaxed too. If someone comes around who doesn’t like dogs or is allergic to them, my dogs are happy in their crate. The silly thing is that we do it to out babies, but panic when we think we are doing it to our dog! Why? Did you put your baby in a cot, in a room on its own and turned the light off? You did the equivalent of caging your child. It just doesn’t use the same words. I have also had a dog who chewed everything in sight if you were not keeping her busy. She grew out of it because I caged her whenever I couldn’t monitor what she was doing. Phew relief. Do not use the crate to house your dog all day and all night. However, they are an ideal tool when you can’t actively supervise your puppy. Instead of crate or cage – call it your puppy’s den. How should I introduce the cage/crate/den? The den needs to be in an area away from constant passing foot traffic. However, many puppies are very stressed by being away from the family, so bear that in mind. Make it a space where something nice happens (nice to your dog, not you). For example, feed him in there. Drop nice tasty bits of food in there when your puppy is not looking, so as he walks past he suddenly smells something nice and pops in to explore. Feed him in there, leaving the door open. Every time you put your puppy in there give him a treat and if you are going to leave him for a while, something nice to chew on which is safe to leave with him such as a deer antler. Please be aware that if you find the idea of using a den to be sad in any way, your puppy will pick this up. So be aware of your feelings. Should I cover the den? I do most of the time. I think it removes you from your dog’s sight and makes it a calmer place to be. It is not essential, though. First of all, check with the breeder what they are feeding and whether they will be some in your puppy pack. Some breeders will give you enough food for a few days and some will only give you a small amount or even none. Always buy a fairly small supply as it is not unusual for new owners to discover that once on his own, the puppy really doesn’t like the food. You intend to continue feeding your puppy as the breeder has. Just buy a small supply of the same food if you can. If you are not sure whether you will keep to the same type of food, still buy a small supply as this will give you time to explore your options. Maybe you intend to change the food. The general advice is to gradually switch over during the course of a few days. Buy a small supply of both types of food and introduce by mixing a small amount of the new food into the existing food. Over a week, gradually increase the amount of new food and reduce the older type. Personally, I always switch the puppy to raw food and do it from day one and have never had a problem, if I did find that it upset my puppy, I would manage it over a number of days. Whether you intend to feed your dog dry or raw food or a home-made diet, it makes sense to do your homework first. Many people are put off by the idea of feeding their dog raw food. When you first start looking at the subject, it can be very confusing. You can buy just plain meat (minced or chunks) and minced meat with all sorts of things added. Then, of course, there is the fact that you will give your dog raw bones and usually chicken wings which are against everything you have ever been told! If you speak to your vet, you will likely get another view, and all your friends and every dog trainer also has their own view. Some people are quite evangelical about the subject. Most vets only spend a small part of their training on nutrition. Most veterinary colleges bring in a pet food manufacturer to actually teach the subject and, therefore, your vet is likely to tell you what he has been taught. It will not cover all the options available. Plus there are always scare stories about dogs choking on bones. These are normally cooked bones and are not part of the raw food or a home-made diet. Dogs have also been known to choke on dry food if they try to hoover it up as fast as they can. Now you can buy special bowls and food dispensers to slow the dog down. Dry food is manufactured to make it quick and easy for us to feed our dogs, knowing their food is balanced. The ingredients come from a variety of sources and some are not so nice and always contain fillers to bulk it out. Usually, this is rice although other carbohydrates are used. It is still possible to buy tinned food at the supermarkets, and some out of town pet food suppliers. Again there is a variety to choose from and they come in tins or small trays. Traditionally these are mixed with biscuit. Dog biscuits, not sweet biscuits. There are quite a number of Raw food suppliers now. Most of it is frozen although you there are some dried versions. You have a choice, you can buy the meat and bone and create a varied, balanced diet yourself or you can buy the food ready prepared. The ready prepared food is manufactured to be balanced daily with a variety of ingredients to ‘help’ our dogs. There is a great deal of information available now and many books showing us how to balance our pets meals. My advice is to do your own research and do what makes sense to you. So we have discussed what you need to get before you bring your puppy home and feeding. Settling your puppy into your home is next. A word of caution first. If you have bought your puppy home before it is 16 weeks old, you are changing your puppy’s environment slap bang in the middle of a ‘fear period’ so careful handling and management are essential. What has happened to your puppy when he was with the breeder does play an important part. Your puppy does not come as a ‘blank slate’. Has he been handled frequently by a variety of people? Has he had a wide variety of things to interact with and walk on or touch? Was the household quiet or noisy? 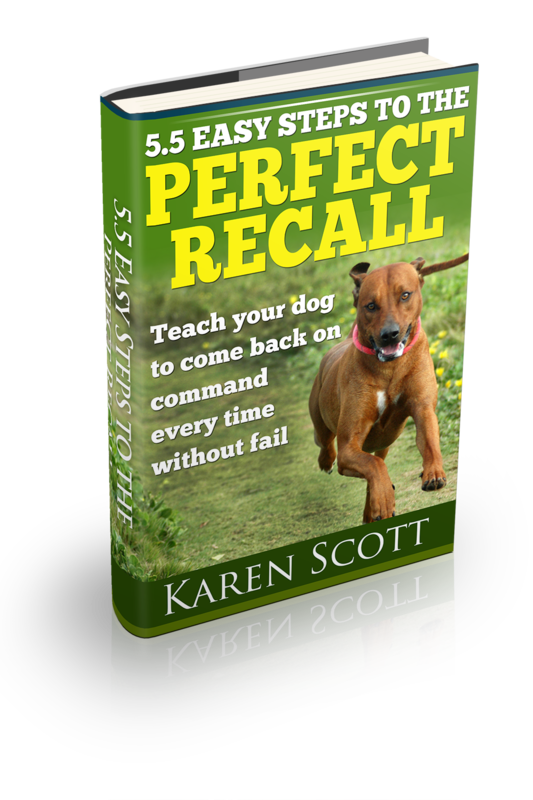 The answer to all these questions play a part and will affect your puppy going forward. But now you have him in your house and he is most likely very quiet – why? Your puppy will be very confused, disorientated, worried and scared. Imagine being a toddler and suddenly a stranger comes and picks you up, puts you in a strange car, and takes you to a strange house and plonks you on the floor. Everything you have ever known before is gone. You don’t know anyone and nothing looks the same, it smells and sounds different. You want your playmates. In effect, this is just what you have done to your new puppy. To make matters worse, he doesn’t understand the language and it is right in the middle of a fear period when things that scare him can affect his behaviour for the rest of his life. WE NEED TO BE CAREFUL. allow him to explore his new home. encourage him to check out his bed (put some tasty treats in it). allow him to sniff everything, it is how he starts to understand his new environment. It is important that you do not scare your puppy at this critical stage of his development. Some dogs will go on to expect everything to scare him and they become extremely timid. If this happens, you have a long road ahead of you trying to help him, so it is essential that you keep calm and do your utmost to not frighten your puppy. Remember, your puppy is learning all of the time and has done from the moment it was born. Any rules you are going to want the puppy to understand should be introduced right from the start. If they learn them straight away, then they grow up knowing them. However, if you change the rules later on, he will likely keep trying to see whether you are going to give in. Do not leave him on his own when awake. Puppies can quickly get into trouble as they are exploring. They are not being naughty, just exploring. It is your job to make sure he does it safely. Watch him to learn his signals that tell you when he wants to go to the toilet. Make sure small children don’t keep picking him up or squeezing him – they do not understand that he is different to a soft toy. Respect your puppy when he is telling you that he needs a rest or doesn’t like what is happening (learn their body language). Teach him where he should go to the toilet. Teach him manners, not to bite or jump up. He is not being naughty, he is only doing what he has been doing with his litter mates, so do not tell him off or smack him, just teach him to make a better choice. Toilet Training is one of the most common issues that people have with their puppies. Here I go through the most popular questions I get asked. Please remember puppies are all individual and physically and mentally grow at different rates. So some pups will be quicker than others. Also, your timing and reactions play a massive part. Be patient, your puppy is only a baby and learning. Keep your emotions in check. Do not show any frustration or anger when they have an accident. There are loads of methods. Everything you read or every person you ask, will have a slight variation. You need to find what works for you and your puppy. Basically, in a nutshell, you need to catch you puppy eliminating in the right place and then reward it. Plus make sure you totally ignore the accidents. If you are going to reward your puppy with a treat or game, get the food and toy ready, but keep them out of sight. Take your puppy outside to where you want him to go to the toilet. Then either sit and wait or wander around. Do not interact, just let your puppy sniff and explore. Do not watch your puppy intensely, but do surreptitiously keep an eye out. Just as your puppy is finishing doing his business, put a big smile on your face, and give generous praise. If you intend to teach your dog to go to the toilet on command, here is where you add the word. For example, if your word would be ‘get busy’ you would say, very enthusiastically “get busy, good boy”. If you want your puppy to only eliminate in a certain area, get the puppy toileting outside and then work on the specific area. Again you would praise when in the right place and ignore (bored) when in the wrong place. If you are going to reward your puppy, either give him the treat or have a short enthusiastic game with the toy. Are you just taking your puppy in the garden and leaving it – how is he going to know that going to the toilet outside is correct? Learn its habits and signals. There is likely to be a delay between eating and going to the toilet, find out how long your puppy waits. It could be almost straightaway (My Daz is now 5 and he still does this) or 20 minutes later or anything in between. The quicker you identify your puppy’s habits, the quicker you can eliminate some accidents. What are your puppy’s habits when it wants to go? Watch for your puppy to suddenly become distracted or sniffs or walks around in a circle? Does he walk up to the door and hope you notice. If your puppy does this and you miss it, he will eventually stop trying to let you know. Why would he waste his time giving you a signal if you ignore it? Some dogs bark to let you know, but if yours doesn’t consider teaching your puppy to ring a bell first. Why will my puppy go outside for ages and then come indoors and do a wee? This is a funny one. Some dogs also go for a walk and then come home and ‘go’ in the garden. I think for some it becomes a habit. Initially though, I think it is all about timing. If you take your puppy into the garden as soon as he has eaten, and you have not realised that he waits 15 minutes before he goes, then this is going to happen. After you have been out there for 10 minutes, you will be bored, so you come indoors then, a few minutes later, your puppy goes to the toilet. You need to quickly learn your puppy’s habits so you know when to go outside. Always go outside with your puppy, even if it’s cold and wet. You need to catch the good choices your puppy makes otherwise how will he know that his behaviour is what you want or what you will reward. My suggestion, at the start is to take a drink and something to do outside with you and sit and relax (I know, not the easiest in winter) but surreptitiously keep an eye on your puppy as you want to mark the right choice, you do not want to miss it. Let your puppy explore. Do not watch intently as some puppies hate being watched and just won’t go to the toilet. Remember your puppy is not being naughty but doing what comes naturally. If after a couple if weeks, your puppy is still having accidents, you need to look at what you are doing first. Some dogs, especially if the breeder started it for you, will take just a day or so, others can take months. Dogs won’t go in their bed. This is not true as some dogs are not bothered by it. If they are confined to a small area and there isn’t enough space, they won’t have any other option. Rub their nose in any accident. This is an old fashioned, old wives tale and a load of rubbish plus it is extremely cruel. They know they have done wrong when you come downstairs and see the accident. No they don’t know it is wrong. They have only done what comes naturally and it was ok in the place they were at before. What they do know is that when you come in the room and you get cross, that is something to be wary of and they are very quick to spot you checking out the situation and the anger appearing. What do I do when there is an accident? Just calmly clean it up. Do not sigh, frown, moan, huff or puff. Be as neutral as you can. Act as if it is a non-event. Do not use bleach or any products containing it as bleach is ammonia which is in wee. Nowadays you can get special products with enzymes that break down any small particles left behind. Biological clothes washing liquid will also work. Clear up any solids and mop any liquids and then clean the affected area with a suitable cleaning product. Things you can use indoors. Puppy Pads: I personally do not like these. I agree that they have their place. Brilliant in certain situations, but some puppies like to rip them up and then they ingest some of the chemicals. Once they start ripping them up, I think it turns into a good game. Newspapers: I would still use these as it is just paper and ink. Easy to obtain (just save up the free papers for a couple of months) and dispose of. Bringing grass inside: I have never tried this, but it sounds like a good idea. I am not sure about whether it could damage or mark your floor. You could put it in a litter tray to ensure that any wee and soil doesn’t damage your floor.